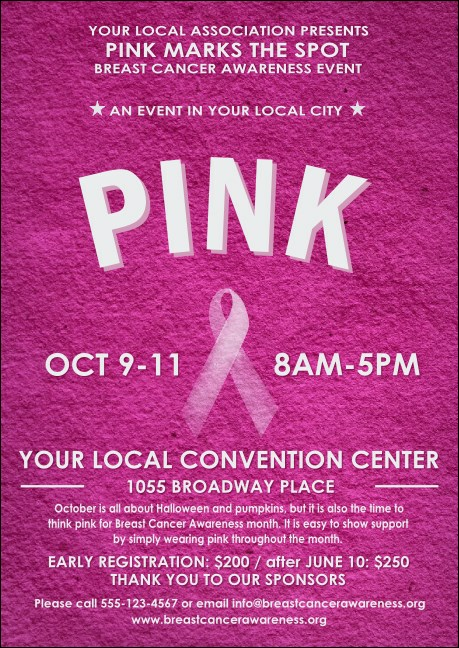 Encourage your guest list to start thinking pink when you send out Breast Cancer Pink Ribbon Postcards in advance for your awareness event. Build a bigger following for the fight against cancer with Postcards that feature a brilliant pink, textured background design and sixteen lines of custom text. Promote cancer awareness like a boss at TicketPrinting.com.